The U.S, records its first Zika death in an elderly man from Puerto Rico, where 700 cases have been confirmed and thousands more suspected. The mainland U.S. hasn’t been immune either: 93 cases so far in Florida and 77 in New York (no subtropical climate but still a home for the Aedes mosquito). 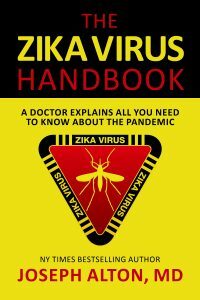 They explore how politics is infecting the Zika debate over funding, and holding up appropriations for mosquito control just as warm weather is arriving in the U.S, Their new book “The Zika Virus Handbook” is an all-you-need-to-know about Zika virus, and now available at Amazon.com. It’s the only book (far as we can tell) on the subject written by a physician. 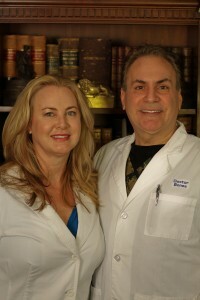 The Atlanta Journal Constitution reports that prepper events, like the ones Dr. Bones and Nurse Amy are speaking at as of this writing are in “the business of fear”. If that’s the case, are car insurance salespeople also in the business of fear? How about health insurance plan and Obamacare? Our hosts discuss how insurance takes many forms, and tangible items like food and medical supplies might just be another form of it. Also, is it fear or common sense that drives a small percentage of the population to take measures to be prepared for disasters? Who are the crazy ones, “preppers” or the general population who scramble to the supermarket and empty shelves in a frenzy before a big storm? You decide. All this and more on the latest episode of The Survival Medicine Hour with Joe Alton, MD and Amy Alton, ARNP. More Notice For Tornado Events?